Orangutan's are known to be some of the most communicative primates. Their communication ranges from many different calls to many them being capable of using sign language. Nonverbal Communication is a type of communication that occurs without the use of words and is continuous. This includes the act of communicating with one another via body language or other symbolism to convey meanings. It can be communicated through gestures, touch, body language, posture, facial expression, and eye contact. Non-verbal communication is different from person to person and especially from one culture to another. For example, if you are a Foreigner and you are traveling to Japan but you don’t speak Japanese, you don’t have a translator either or a dictionary and you can only use non-verbal communication to communicate with people, you go to a restaurant and order food by pointing at something. Similarly, you pay money and leave, the people bow to you when you are leaving the place a satisfied customer. Like humans, most other primates engage in nonverbal communication to relay messages, emotions, warnings, and ideas to each other. Primates, by nature, are a very social species and tend to live together in communities. Primates have developed a more complex way of communicating than most other animals. For example, a study of rhesus monkeys showed that a community had a distinct hierarchy among them and it was clear which monkeys outranked others. People have compared primates and their communication abilities to humans as more studies are conducted. Non-human primates like these have between fifteen and forty different calls in their call system depending on the species. While humans possess a handful call systems, non-human primates have a system ranging from 15-40 calls, depending on the species. Non-human primates use these call systems when they are in the presence of food or danger, when they desire company, or when the animal desires to mark its location to signal pain, sexual interest, or the need for maternal care. The call system of non-human primates is “closed” because it lacks the ability to discuss absent or nonexistent objects as well as past or future events, which is called displacement. Closed call systems also have the absence of any link between sound and meaning in language, which is called arbitrariness. These five calls, paired with gestures and changes in rhythm, volume, and tonality (something which linguists call speech prosody) appear to have co-evolved with the development of symbolic language. This may be the reason they amalgamate (meaning to combine or unite to form one organization or structure) so well. These call systems are controlled by different parts of the ape brain. Two sign language interpreters working as a team for a school. We use body language, eye contact, gestures, posture, and facial expressions to communicate with one another. Although the majority of nonverbal communication studies first researched by Ray Birdwhistell focus on face-to-face encounters between two or more people, advances in technology are creating new forms of nonverbal communication. Handwriting styles and emoticons can be included in this new category. Emoticons, which are often used in text messaging, serve to more clearly express a point or add context to what is being communicated since one's tone of voice and facial expressions cannot be seen at the time of viewing. Nonverbal communication can be an incredibly effective way of sending and receiving messages from person to person, especially in a foreign country. For example, you can communicate hunger through making a gesture pointing to your stomach or your mouth, a universal sign. Often people will use this rudimentary sign language to speak to others when they need something. Another subtle yet common form of nonverbal communication is facial expressions. It's easy to portray being happy or sad or confused. However, there are other social expressions in foreign countries that become important to pay attention to. For example, when giving a speech at a table in Sweden, it's expected to make direct eye contact with others, contrary to Japan, where eye contact is seen as rude and disrespectful, especially in public areas. Nonverbal communication can also lead to things that people did not mean to communicate. For example a person from American culture sees kissing as a sign of affection but in some Spanish speaking countries, kissing is a way to greet someone. There are also certain ways to kiss someone in those countries depending on what your relationship is to that person. If two people from these places meet and one of them comes in for a kiss because they think they are greeting them properly the other person might become confused as to why the other person is trying to kiss them. Sometimes nonverbal communication can bring to light the many cultural differences that there are around the world. Clothing has been known to be a form of communication or expression, as well. For example, the chief of a Native tribe will dress more extravagant than other members of the tribe, such as a piece like a feathered headdress. Great hunters wear animal skins to show off a kill in some hunter-gatherer communities. Another cultural piece of clothing would be a wedding dress. It is meant to be worn on the day that two people get married and is typically never to be worn again. Often times couples spend thousands on said dress because it is a special occasion to show the love of the couple to the people they care about. Sometimes the physical—what a person wears, how they move, or how they express emotions—can mean more than words, providing little clues into cultures. Two people not affecting each other's personal space. Reaction of two people whose personal space are in conflict. Proxemics, coined by anthropologist Edward T. Hall in 1966, is the amount of space that people feel necessary to put between themselves and others as they interact. The category of proxemics is most commonly sub-grouped into a physical territory and personal territory, although proxemics can also be identified in several other forms such as eye-contact, facial expression, smells, body warmth, gender, and the number of people involved. The area of the personal territory is further sub-grouped as public space- ranging in 12–25 feet between people, social space- ranging from 4–10 feet between people, personal space between 2–4 feet of separation and finally intimate space- a foot or less of separation. The physical distance between them is related to their social distance. For example, people who know each other very well often communicate in the intimate space, which is about 1.5 feet away from each other, whereas acquaintances will usually communicate about 12 feet from each other. Proxemics can vary by culture, gender, social setting and individual preference. For example, in U.S. grocery stores it is considered polite to leave the person in front of you in line plenty of personal space. In China, however, due in large part to its denser population, it is common to leave less than a two-foot gap between you and the person in front of you in line. A diagram representation of personal space limits. Chronemics is a field of study examining the utilization of time in nonverbal communication. Perceptions of time can play significant roles in various forms of nonverbal communication. For example, a slight pause before finishing an announcement can help to build a sense of anticipation in one's audience. Aside from the transmission of mood, time can also figure into communication in terms of attention span and the expression or reinforcement of power relationships. A culture's perception of time not only influences the way they communicate but also the way they organize and execute their daily lives. Cultures are divided into two main groups based on the way that members of that culture generally perceive time: monochronic cultures and polychronic cultures. Monochronic cultures are societies made up of people that appreciate doing one task at a time without interruption or tardiness, people in these cultures tend to believe that time is linear. The contemporary United States is a monochronic culture. People in the US tend to keep very rigid schedules, and usually value punctuality, brevity, and adherence to plans made in advance. In the US, time is viewed as a resource, as is illustrated by the common expression "time is money". People living in monochronic cultures tend to focus on the completion of one task at a time, and usually, view interruption and distraction as things to be avoided. Monochronic cultures like the US, look down upon being late. When there is a schedule and it is not followed, there are often consequences and social respect is sometimes lost. Polychronic cultures tend to see time as fluid and malleable. Characteristics of polychronic cultures include interrupted meetings, flexible schedules, and higher values placed in people and relationships over punctuality and deadlines. Examples of polychronic cultures are those found in modern Mexico and Egypt. People of these cultures tend to keep open schedules, often altering plans without notice and "double-booking" themselves. In monochronic cultures such as the United States, Germany, and Great Britain these behaviors are thought to be inefficient and improper. People of polychronic cultures are more susceptible to distractions and open to interruption but are better at focusing on many tasks at once. Polychrons prefer to keep their time unstructured, changing from one activity to another as the mood takes them. Although polychrons can meet deadlines, they need to do so in their own way. A polychron does not want detailed plans imposed upon him, nor does he want to make his own detailed plans. Polychrons prefer to work as they see fit without a strict schedule, following their internal mental processes from one minute to the next. Defined by a study of how “body movements and gestures serve as a means of nonverbal communication”. In short, different movements of your body convey particular ideas and kinesics is how nonverbal communication is interpreted, which will greatly vary across cultures. Through body movements, it is possible to send signals, leaning forward when someone is talking to show you are engaged and listening. Being aware of kinesics can be an aid in relationships, job interviews, or when meeting new people. This term was first used by Ray Burdwistel in 1952, an anthropologist who studies this certain movement. He argued that all movements of the body meant something. He said that nothing was done by accident, and every movement was used to say how the person was feeling. Posture is a type of nonverbal communication, the position in which someone holds their body when standing or sitting. It is also meant to show a way of dealing with or considering something. Much can be interpreted from a person's posture such as their view of themselves, their mood, etc. Such behavior can be intended to impress or mislead another individual in a particular attitude or mood. Posture is used to determine a participant’s degree of attention or involvement, the difference in status between communicators, and the level of fondness a person has for the other communicator. A gesture is a form of non-verbal communication. It is a distinguished physical movement that is an expression of inner thoughts and emotions. Gestures can range from full-body expressions such as dancing or hugging to smaller gestures in the hands or arms such as a slap across the face, or facial gestures such as scrunching of the face to convey discomfort or disgust. Gestures vary widely across cultures, just as vastly as spoken language. In the United States, for example, a commonly accepted gesture of anger is holding up your middle finger, but this emotion can be expressed via a hand flick under the chin in Spain and Latin America or a thumbs up in Iran and Iraq. Haptics is used to refer to the sense of touch and touching capabilities. Haptics can be broken down and organized into three different fields. Haptic Communication is the way that people communicate based solely through touch. This sense is important for humans because it provides information about objects that we touch and it is also a part of nonverbal communications. Touch can send a very strong message (positive, negative, sexual, or platonic). Haptic Communication is a key to physical intimacy. According to research conducted by Jones and Yarbrough (1985) there are 7 different types of touch, and they are positive touches,playful touches, control touches, ritualistic touches, hybrid touches, task related touches, and accidental touches. Haptic Technology is a technology that interfaces with the user through the sense of touch. An example of this might be all of the touch screen cell phones that have become very popular in the U.S.
Haptic Perception is used when we recognize an object by touching it. It involves the combination of the senses in the skin, the position of the hand, and conformation. This is used in many everyday actions. An example of this would be using your hand to dig around in your bag looking for a particular object, like a cell phone or a pen. This haptic is particularly useful for the blind who may rely entirely upon touch in order to identify an object since they cannot see it. An ethnographic representation of haptics in different cultures depends on what is socially acceptable. For example, in the United States it is usually a form of positive touching when you pat someone's head, but in the Thai culture, it is rude to touch someone's head. Eye contact is one of the most important forms of nonverbal communication between people. Eye contact signals vary from culture to culture and vary among certain religions as well. For example, in America, someone who is unable to maintain eye contact is seen as not confident, shy, or submissive. In some Arab countries, a person who is unable to maintain eye contact is seen as disrespectful. Some cultures, such as South Asia, might view extended eye contact as challenging, rude, and aggressive. In the Islamic faith, Muslims often lower their gaze and do not look at the opposite gender’s eyes after the initial greeting. This is because lustful glances to those of the opposite gender are prohibited. What is considered harmless flirting in some western cultures may be seen as a form of adultery in Islam. In English-speaking cultures, a certain amount of eye contact is required in daily social situations but too much eye contact can have misdirected meaning, often misinterpreted. American Sign Language is an intricate language that uses signs made with the hands and other movements such as facial expressions and postures of the body. Sign language is the fourth most commonly used language in the United States. ASL originated when Thomas Hopkins Gallaudet, an apprentice lawyer, and Laurent Clerc, a prominent, deaf man that was fluent in French Sign Language, founded the American School for the Deaf. This was the first of its kind in the U.S., and in 1817 the school would witness seven students become the first class to graduate. ASL was not recognized as a legitimate language until the 1960s. Prior to this, it was considered a broken, limited form of the English language. Sign Language is actually one of the quickest ways for children to learn how to communicate as well. Picking up on motions and symbols is a much easier thing for children to do than make sounds. By learning sign language first, some children have an easier time learning to verbally speak. The children will have an image or sign already in their mind to match the word. 1. Duality of patterning: associates sounds with meaning. For Example CAT/TACK/ACT the same phonemes are expressed but organized in a different order to convey different information. 3. Interchangeability: Speakers are able to send and receive messages. 4. Arbitrariness: No association with words, and its meaning except for the sounds. For Example, The words WHALE and MICROORGANISM do not convey any relation to the size or physicality of the word and the physicality of the subject. 5. Displacement in time, space, role: Being able to talk about the non-current. This allows people to communicate about the past, future, and distant places. 6. Specialization: Language only serves the purpose of communication. 7. Cultural transmission: Specifics must be learned by each person. By definition, communication is behavior that affects the behavior of others by the transmission of information. Language is a series of codes made up of words and rules that allow humans to communicate. The structure of human language is complex and intricate and each language spoken in the world has different phonological systems, which is, by definition, the sounds that are used and how they are related to one another. The basic rules of language are covered here, including phonology, morphology, semantics, syntax, and how speech sounds are divided. Phonology is the use of sounds to encode messages within a spoken human language. Babies are born with the capacity to speak any language because they can make sounds and hear differences in sounds that adults would not be able to do. This is what parents hear as baby talk. The infant is trying out all of the different sounds they can produce. As the infant begins to learn the language from their parents, they begin to narrow the range of sounds they produce to one's common to the language they are learning, and by the age of 5, they no longer have the vocal range they had previously. For example, a common sound that is used in Indian language is /dh. To any native Indian there is a huge difference between /dh and /d, but for people like me who cannot speak Hindi, not only can we not hear the difference, but it is very difficult to even attempt to produce this sound. Another large variation between languages for phonology is where in your mouth you speak from. 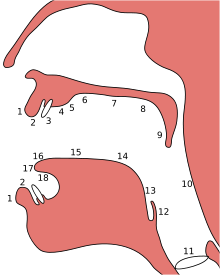 In English, we speak mostly from the front or middle of our mouths, but it is very common in African to speak from the glottal, which is the deepest part of one's throat. These sounds come out as deep growls, though they have great significance in African culture. The definition of morphology is the study of the structure of words formed together, or more simply put, the study of morphemes. Morphemes are the smallest utterances with meaning. Not all morphemes are words. Many languages use affixes, which carry specific grammatical meanings and are therefore morphemes, but are not words. For example, English-speakers do not think of the suffix “-ing” as a word, but it is a morpheme. The creation of morphemes rather than words also allowed anthropologists to more easily translate languages. For example, in the English language, the prefix -un means "the opposite, not, or lacking" which can distinguish the words "unheard" and "heard" apart from each other. A junior Moran with head-dress and markings. It would be difficult to translate this tribes language without the use of Morphemes. Morphology is very helpful in translating different languages, such as the language Bangla. For example, some words do not have a literal translation from Bangla to English because a word in Bangla may mean more than one word in English. Two professors from Bangladesh discovered an algorithm that could translate Bangla words, as they are generally very complex. They first search for the whole word. If this does not come up with results, they then search the first morpheme they find, in one example it was "Ma" of "Manushtir". "Ma" was a correct morpheme, however "ushtir" was not. The researchers then attempted "Man", however "ushtir" was not a correct morpheme. They next tried "Manush" and "tir", discovering that this was correct combination of morphemes. The study of the arrangement and order of words, for example if the Subject or the Object comes first in a sentence. Syntax is the study of rules and principles for constructing sentences in natural languages. Syntax studies the patterns of forming sentences and phrases as well. It comes from ancient Greek (“syn”- means together and “taxis” means arrangement.) Outside of linguistics, syntax is also used to refer to the rules of mathematical systems, such as logic, artificial formal languages, and computer programming language. There are many theoretical approaches to the study of syntax. Noam Chomsky, a linguist, sees syntax as a branch of biology, since they view syntax as the study of linguistic knowledge as the human mind sees it. Other linguists take a Platonistic view, in that they regard syntax to be the study of an abstract formal system. Generative Grammar: Noam Chomsky pioneered the generative approach to syntax. The hypothesis is that syntax is a structure of the human mind. The goal is to make a complete model of this inner language, and the model could be used to describe all human language and to predict if any utterance would sound correct to a native speaker of the language. It focuses mostly on the form of the sentence rather than the communicative function of it. The majority of generative theories assume that syntax is based on the constituent structure of sentences. Categorial Grammar: An approach that attributes the syntactic structure to the properties of the syntactic categories, rather than to the rules of grammar. Dependency Grammar: Structure is determined by the relations between a word and its dependents rather than being based on constituent structure. One recent case of computational analysis of the syntax of an unknown language comes form the work of Rajesh P. N. Rao (2009) at the Dept. of Computer Science & Engineering, University of Washington. His team's computational analysis decoding patterns in the ancient Indus script has shown that it is in fact patterned like spoken language. Like spoken language, the Indus symbols follow a degree of ordering that is intermediate between highly patterned systems such a computer programming languages and highly variable systems such as the DNA code. Further analysis of the pattern of symbols with unknown meaning has linked it to the ancient Sumerian language of Mesopotamia and Old Tamil from India. Human Speech sounds are traditionally divided between vowels and consonants, but scientific distinctions are much more precise. An important distinction between sounds in many languages is the vibration of the glottis, which is referred to as voicing. It distinguishes such sounds as /s/ (voiceless;no vibrating) and /z/ (voiced;vibrating). The chart below mentions pulmonic consonants, which are produced by releasing air from the lungs and somehow obstructing it on its way out the mouth. The non-pulmonic Consonants are clicks, implosives (similar to the 'glug-glug' sound sometimes made to imitate a liquid being poured or being drunk), and explosives. Co-articulation refers to sounds that are produced in two areas at once (like /W/). When a native speaker does not recognize different sounds as being distinct they are called allophones. For example, in the English language we consider the p in pin and the p in spin to have the same phoneme, which makes them allophones. In Chinese, however, these two similar phones are treated separately and both have a separate symbol in their alphabet. The minimum bits of meaning that native speakers recognize are known as phonemes. It is any small set of units, usually about 20 to 60 in number, and different for each language, considered to be the basic distinctive units of speech sound by which morphemes, words, and sentences are represented. Morphemes are "the smallest unit grammatical of language" that has semantic meaning. In spoken language, morphemes are composed of phonemes(the smallest unit of spoken language), but in written language morphemes are composed of graphemes(the smallest unit of written language). A morpheme can stand alone, meaning in forms a word by itself, or be a bound morpheme, where it has to attach to another bound morpheme or a stand alone morpheme in order to form a word. Prefixes and suffixes are the simplest form of bound morphemes. For example, the word "bookkeeper" has three morphemes: "book", "keep", and "-er". This example illustrates the key difference between a word and a morpheme; although a morpheme can be a standalone word, it can also need to be associated with other units in order to make sense. Meaning that one would not go around saying "-er" interdependently, it must be bound to one or more other morphemes. Noam Chomsky is an American linguist, philosopher, cognitive scientist, political activist, author, and lecturer. 2. That universal grammar is the end-product of a progression of evolutionary accidents or DNA mutations that have taken place over millions of years. Neither of these theories has much evidence to prove them as fact, but in Chomsky's opinion, they are the best explanation yet. According to the Poverty of the stimulus argument, there are countless facets of linguistic proficiency of adult speakers that could not have been acquired solely from the linguistic material accessible to a child during the period of language acquisition. Therefore, these features are not learned traits and must be considered innate properties of the human brain. The argument that language defines the way a person behaves and thinks has existed since the early 1900's when Edward Sapir first identified the concept. He believed that language and the thoughts that we have are somehow interwoven and that all people are equally being affected by the confines of their language. An example of this idea is given in George Orwell's book 1984, in which he discusses the use of a language entitled "Newspeak" which was created to change the way people thought about the government. The new vocabulary they were given was created to control their minds. Since they could not think of things not included in the vocabulary, they were to be zombies imprisoned by the trnace of their language. Later Benjamin Lee Whorf, Sapir’s student picked up on the idea of linguistic determinism. Whorf coined the Sapir-Whorf hypothesis also referred to as the Whorf hypothesis, which states that language is not simply a way of voicing ideas, but is the very thing which shapes those ideas. One cannot think outside the confines of their language. The variety in language structure and how that affects people’s thoughts and actions helped define this idea of linguistic relativity. An example of this is the studies Whorf did on the Hopi language. He concluded that Hopi speakers do not include tense in their sentences, and therefore must have a different sense of time than other groups of people. The way a culture's perception of time affects the ways in which they communicate is known as chronemics. One consequence of the Sapir-Whorf hypothesis is the belief that time is somehow subjective, and perceptions of it can, therefore, be dramatically different across cultures. However, in recent years, the Hopi have been studied in order to further understand this issue, and it has been discovered that although the Hopi do not include references to the past, present or future in their grammars, they do include two other tenses, manifested and becoming manifested. Manifested includes all that is and ever has been, physically. This includes the senses and concrete items. Becoming manifested includes anything which is not physical, has no definite origin and cannot be perceived by the senses. Verbs are always expressed in terms of these two tenses. In this way, the Hopi do include some aspect of time, but in a different way than a native English speaker would recognize. Semantics: In linguistics, semantics is the study of meaning. A better explanation would be that semantics is the study of explanation of signs as used by a person or communities within particular situations and contexts. The study of semantics has been a topic highly avoided in the past due to the difficult to explain what is meant by the meaning of a word. Before the formal study of semantics defining the meaning of a word meant taking the literal meaning of the word in a sentence without taking into consideration things like metaphor, which will be discussed later. This means that for each sentence or phrase the meaning is the truth and it is taken to be how the world is. After much debate about the definition of semantics, Noam Chomsky carried out a formal analysis to better explain this topic. He concluded that in order to understand the true meaning of a phrase or word grammars needed to represent all of the knowledge and background that the speaker had with that particular language. With this new formal study of semantics, it was discovered that many words or phrases that have one meaning in one culture may have a completely different meaning in another. Synonyms, different words with the same meaning, homophones, same sound with different meaning and metaphor, a form of figurative or non-literal language linking two expressions from different domains are all examples of these cultural differences. For an example of metaphor, in the U.S. pop culture, the term “ill” is often referred to something that people really like where in other cultures if this term were used it may be taken to literally mean that the object of place being referred to had a sickness. The formal study of semantics has helped to give a more clear understanding of different words and what they may mean in different languages and cultures. Although these studies have helped a lot there are still words which may have open-ended meanings, such as honesty or trust, which cannot be linked with a concrete object and thus are difficult to assign one meaning to. Languages develop and change throughout time. Language branches and grows as groups of people travel, split, trade, learn and develop. They are constantly being altered to fit the needs of individual societies. Once a language is established it continues to change as time progresses through adaptation and sharing. Many languages are a combination of older languages, and often represent a mixing of cultures. Spanish and English are bother Germanic based languages, yet have their own grammar rules and gendered words. In the United States these two languages come in close contact and often mix, many households today using what is commonly referred to as “Spanglish”. As cultures choose to adapt to new terms or not, creates more splices, or branches, in the metaphorical language tree. Today, language change in a language is not a slow process; words develop new meaning, take on new symbolism and convey new different ideas every day. Media and technology have an enormous influence on how a language changes. Once and new term is created or obtains a new meaning, it can be repeated and spread across the world in seconds or minutes. This instantaneous sharing has created a rapid change and these words and meaning can come go as quickly as they are created. These terms often represent eras or generations. Slang is the development of new informal words or phrases that have meaning within a specific social group. In some cases new words grow further than the original group and reach other groups due to the word's functional use for multiple social groups. For example, the phrase "My bad" is used when a person has made a mistake in certain aspects of American culture. The phrase “my bad” is frequently employed as a response to someone making a mistake. The phrase would only be recognizable to the culture it grew out of but would not be easily understood by someone who may not know the language or culture well. Another well-known slang phrase in the American youth culture is the term "Frenemy". The slang combines the words "friend" and "enemy." It is a person who appears to be your friend but maintains a certain enemy aspect as well. Again, this phrase would not be recognizable to someone who is not a part of the youth culture. Slang terms are typically phrases or trends in languages and often are developed in younger generations of people. Who uses Slang? Slang is used by all kinds of groups of people who share situations or interests. The group which uses these words is always in the minority, and often use slang to set themselves apart or make it difficult for ordinary people to understand them. When a particular new expressions is known and used by a large majority of the population, it is no longer slang, but part of the regular language or usage. Note: Slang and Informal English are NOT the same. Some slang can be used in formal situations, and some of the words that can only be used in informal situations are not slang. Also, sometimes it's a good thing to use Slang in some conversation because, It communicates more quickly than formal language, It communicates ideas, concepts, or descriptors that formal language has not yet caught up with (when this happens within an industry or profession, we call it "jargon;" when it happens socially, we call it "slang;" either way it's the same thing) Because it offers side channel or subtext use communication that is understood within a particular group but not outside it (an extreme and fascinating example is Cockney rhyming slang) Because it communicates nuances of meaning or emotion better than formal language. When slang becomes popular enough, it stops being slang and becomes part of the language. This is how language evolves. When communities with their own distinct native language come into contact with each other, variations of those languages combine to create a single new language. Contact languages may be divided into two categories: pidgin and creole The study of language contact is called contact linguistics.The distinctive line between a pidgin language and creole is the first generation of a language versus the second more developed generation. A pidgin is distinguished as a contact language with no native speakers. When two cultures with their own languages must communicate for the first time, a reduction or simplification of the languages occur along with changes in meanings. The structure of the language fluctuates and does not necessarily remain constant. Pidgin language may only be carried throughout one generations, but may also be used through multiple generation - an example of this being Tok Pisin, the pidgin language of Papua New Guinea. One of the main uses of pidgins is for the purpose of communication between two linguistically distinct groups of people, often for use in a shared activity such as trading. Throughout time, the pidgin may die out or become established for use by further generations to create a creole language. Africans who were enslaved and brought to the Americas were deliberately kept isolated from others who spoke the same African language, to prevent them from organizing a rebellion. In order to communicate with each other, they developed a pidgin language with the overseer's language as the superstrate. Over the years, they developed a language community of their own, with the pidgin language as the means of communication among themselves and with their offspring born into slavery. An example of a pidgin is the Hawaiian pidgin language that was developed when immigrants from other nations began settling in the islands to work on sugar plantations. A single form of communication was needed throughout the different cultures, therefore a type of English slang was used to accommodate different understandings. The different cultures included Portuguese, Japanese, Filipino, and Chinese. Most of the vocabulary of Hawaiian Pidgin is derived from English, the language of the dominant group. Hawaiian Pidgin syntax is similar to the subordinate Native Hawaiian language, as well as other subordinate immigrant languages. The structure of the Hawaiian pidgin English language varies from person to person seeing as the language is based on a few key vocabulary words. When visiting Hawaii, some locals can be very docile towards tourists, or for lack of word, white people. I guess in a way that makes them sort of racists, but it is a way for Hawaiians and the sacred livings of people there to keep their culture their own. Often times, if you're in Hawaii for a long time, you find yourself growing accustomed to talking in the Pidgin language or picking up a few phrases here and there. It's like when other people visit another country, and you eventually pick up on a few words or popular phrases. Hawaii is the same. My dad who was born and raised in Hawaii, where his family still has a 40-acre homestead, often finds himself talking in Pidgin language even as soon as he picks up the phone when talking to a relative. For someone who is local to Hawaii but leaves the island, I don't think that background ever really leaves. Often Pidgin can be hard to "decode" or understand but it's all in a way for Hawaiians to protect what cultural dignity they have left. In recent years, Hawaiian Pidgin has become more accepted in academic and institutional settings. Historically, Hawaiian Pidgin speakers were viewed as less intelligent and 'lower class' by those who spoke standard English. Today there are entire dictionaries, not to mention a plethora of novels and plays, being published in Hawaiian Pidgin. Kay den translates into the English: "alright". Ex: "Kay den, I no show you mine." Kay being a shortened version of the Enlgish okay and den being a slang term for the English word then. Akamai (pronounced: ah-kah-mai). Translates into the English: "smart, intelligent". Ex: "Dat Jimmy Boy plenny akamai. He wen mek one computah." Akamai is an actual Hawaiian word, and therefore does not resemble the English translations. Pau (pronounced: pow). Translates into the English: "finished, done". Ex: "Eh, you all pow so we can go?" There is no actual translation into English of the word 'pau,' as it is a real Hawaiian word. Once a pidgin language is passed on to another generation and taught as a first language, it becomes a native language, also known as a creole. Creole languages are more refined and complex versions of the original pidgin language. The vocabulary of the language is expanded and the grammar rules become more stable, enabling speakers to communicate more fully. The creation of a creole language occurs when stable communication is necessary for a group. While pidgins are simple trade languages, creoles have more developed grammatical and syntactic systems. Creoles use the lexicon of the language that has higher power or prestige, known as the superstate, and borrows grammatical rules from the less powerful language, or substrate. A great example of a creole speaking culture or group would be Belize. The native Belizeans speak a creole that is called Kriol. It is a mix of English, African based Garifuna, Moskito Indian, and a little bit of Spanish and Maya. Many linguists have recognized Kriol as a full-fledged creole, because it has met all of the rules that set it apart from a pidgin and other contact languages. Creoles are grammatically rule-governed, and both the syntax and lexicon develop rapidly during Creolization. For example, as Tok Pisin creolizes, it has developed the morphological marker ol before a noun to indicate plurality; in the pidgin, one can determine plurality only by context or the presence of a numeral or qualifier before the noun. Creoles are also known as a specific group or culture with mixed French, African, Spanish, and Native American descent. Many of them live in Louisiana or are tied by family to Louisiana. This culture began as an offspring of the Old World and the New when this country was still being colonized. Creoles are not one thing or the other, and have lived their lives misunderstood, misrepresented, and misinterpreted. In the past, under White government, Creoles were not allowed to be an equal part of society. Blacks, free and slaves, did not feel Creoles were part of their world either. Because of this rejection, Creoles had a strong bond with one another and had to create their own world and culture. They were self-sufficient and relied on each other. Creoles were landowners, artists, teachers, and business people. Throughout the world there are many "oral traditions", but in this section, Oral Tradition is the transmission of cultural information and material through vocalization. It is one of the oldest forms of communication of cultural values, histories, and symbolism due to its independence from written language. Oral traditions include stories, songs, speeches, jokes and uttered ritual. The most prominent aspect of oral tradition is storytelling, which can be understood as both truthful narratives that encompass events in the ancient past, as well as folk lore tales that are told across generations but are not necessarily believed to be a literal truth. In the cases of narratives and stories, it is not up to the teller of the story to make clear what is truth or myth, but to the listener to make their own judgments about truth. Oral traditions are important to impoverished cultures that do not have the knowledge nor the means to write down their traditions. To these cultures, the only way to keep their ways of life alive is to transfer the knowledge orally. This, however, makes it harder for anthropologists and historians to understand isolated and otherwise extinct cultures since there is no written material. In many cases, an anthropologist or someone else interested in preserving or publishing oral stories, histories, poetry, or jokes runs into problems when they do something that the original “owners” of the story deems disrespectful or wrong. These disrespectful acts could be that they didn’t ask permission from the "owner" before they published the stories, or that they interpreted the story in an incorrect manner rather than simply writing down what had been literally spoken(see Morphology). Many story tellers believe that, when written, a story or tale loses significance because it is not being spoken. This is especially true in the transference of American Indian oral traditions into written works. American Indian cultural learning occurs mainly through living oral traditions, whereas European-Americans learn from written formats that emphasize linear thinking and logic. It is difficult to put American Indian oral traditions into writing because American Indian ideas are hard to fit into a linear and “logical” format. Many American Indians believe, as well, that much of the essence of the story is lost in the translation between oral and written. This is especially true when treaties were negotiated between the US government and Indian tribes. In many cultures, written history is something new, and much of a culture's tradition and history is orally transmitted to the next generation by a specific group of people. In many present-day West African countries, tradition is passed down by a group of people known as Griots. Griots are known as "Les maître de la parole", or "The Masters of Speech". Griots have many roles in West African culture, acting not only as historians but filling the roles of entertainers, genealogists, singers, poets, storytellers, and even counselors to kings. They primarily passed down history through the ages by transmitting their knowledge in the forms of songs, stories, and poems. The historical knowledge of Griots and the power they wield through that knowledge is formidable. They command admirable musical talent as well, traditionally playing a 21-stringed instrument known as the Kora. A Griot is essentially a walking, talking historical record, and in West Africa, the historical record of a people's culture was often entirely dependent on a Griot's memory, as there was little to no written history. The position of Griot is genealogical, passed down through bloodlines over the ages. Good Griots possess remarkable memories and musical talent, and are ever ready to recite long histories, sing traditional songs, or recall genealogies. Despite their many talents and their important role in society, it is believed that Griots were a part of one of the lowest castes in their social hierarchy. There are speculations that they were defined by their speech patterns; the high-pitched, fast paced speech of the Griots was more similar to that of the 'ñeeño' (middle and lower castes) than the low pitched, steady speech of the 'géer,' or nobles. Singing and storytelling were considered inappropriate for higher social classes. Griots were only allowed to marry within their caste were often subject to abuse and discrimination from other castes. In many communities, Griots were not allowed to even enter the homes of higher-class families. This social injustice often did not stop at death, as many Griots in central Senegal were not given burial rights, as it was thought that burying Griots would result in a poor harvest, so their bodies were often placed standing up inside baobab trees instead. It was believed that this practice would increase rainfall and result in a good crop season. An ancient baobab tree in Senegal's Réserve de Bandia, where many Griots have been laid to rest. Modern-day Griots have managed to move up in society as much of West Africa has moved from a caste-based system to more of a modern income-based system. In spite of the social injustices they once faced, Griots have managed to significantly shape the form of society and popular culture, often occupying their birthright roles of musicians and storytellers. As playing music and singing were activities deemed inappropriate for nobles and restricted to the ñeeño class, Griots were the first people to become both financially and socially successful by producing popular music. They are considered 'manufacturers of a considerable part of the Senegalese artistic production' ^ , and even today, non-Griot singers often find success covering traditional songs traditionally sung by Griots. Every Country has its own unique way of speaking, whether it is a different variety of the language spoken to the north or south, or a completely different language all together. Language diversity is what makes our world unique: it gives character to different cultures around the world and it is what makes us human as well. No other living organisms have what humans have; they have communication, but none have language. In America, we have plenty of different accents and dialects, but there are four main regions into which the country is divided. The Western, North, South, and Midlands dialects are the four regional dialects of America. This diversity is important to know and study because its what makes up America's linguistic variation. America is known as the “Melting Pot,” because we have people from all different countries. This shows when one travels around the country and listens to people speak. The differences could be as simple as saying “soda” instead of “pop,” or as diverse as elongating certain vowels to the point of what would be seen as 'unintelligible' speech for outsiders of the community. A diagram showing variation in the English language by region (the bottom axis) and by social class (the side axis). The higher the social class, the less variation. Different accents here in America have different connotations when an outsider hears them being spoken. These different accents and ways of speaking have varying levels of prestige in society: much can be said about the speaker's social status, politeness and education from listening to their accent. For example, listening to the southern accent with its drawn out vowels and sometimes slower speech, one may assume that the speaker is easygoing and friendly; on the other hand, some may believe that the speaker is less educated and belongs to a lower social class. Each accent in English has a stereotype and therefore has a level of prestige or status associated with it. The accent with the highest prestige in America is known as the ‘Standard Accent.' The speaker of this accent is from the West Coast, where there is the most standard speech without much of an accent. Other accents to keep in mind that have lower levels of prestige are African American Vernacular English, New York dialect and the Southern accent. Although rare, there can be cases of covert prestige. This is when the major group usually speaking the standard variety, look down upon a specific variety, causing the members to speak it more as a way to show their membership in the minority group. When looking at sociolinguistics, it is important to understand how different languages are judged against each other. The standard of a language is the variety seen as the purest and essential variety of the particular language. Although this term is used in different ways in sociolinguistic studies, one of the defining characteristics of a standard language is that it is codified in some way, a dictionary is an instrument that codifies language. This regulates the language and stabilizes it across a wider range of society. Because they are written and usually more stable than a contact language, such as a pidgin or creole, standards are used for higher functions. These higher functions often involve governance, ceremony, and education. Although differentiating standard and vernacular varieties of a language might seem unnecessary, it is extremely important to understand the distinctions made between the standard and other varieties of language. Because the standard is used in higher functions of society, those that speak the standard regularly are often seen as more prestigious than those who speak a vernacular or a less formal variety. Because a minority of the world languages are written, few can survive long enough to become a standard at all. Often, they are overshadowed by languages that are already established and codified. Relying too much on the standard used for the highest purposes of a society can lead to what is called linguistic ethnocentrism, where different groups and classes are marked through language. The standards of a language also have a history of imperialism, where natives are discouraged from using their own language in favor of the colonizing language. One historical example of this phenomenon is the boarding schools established throughout America in the middle of the nineteenth century. Created as a way for American Indian children to assimilate more easily into the mainstream of American society, these schools enlisted young children, took them away from their reservation, and attempted to educate them in a traditional Western manner. Although there were many concerns about children assimilating, such as dress and hairstyle, one of the most constant concerns regarding American Indian children retaining their culture was using their native language. Therefore, they were taught English and beaten if they spoke their native language. As a result, many children lost the ability to speak their native language, and, in doing so, lost a huge piece of their culture. The educators in the boarding school linked language to Indian culture, which, to them, was barbaric, savage, and unfit for American life. This is a prime example of linguistic ethnocentrism, where the language is linked with the culture, which becomes linked with harmful stereotypes. Language Ideology is a marker of struggles between social groups with different interests, revealed in what people say and how they say it. It is primarily studied in the field of linguistic anthropology. The study of language ideology allows evidence in which that the way we talk will always be embedded in a social world of power differences. They mark the struggles between social groups that do not contain the same interests or beliefs. This is reveled in what people say and how they say it. Language ideologies are very active and effective. We can tell this by the way people monitor their speech to make sure it is appropriate with a particular language ideology. Language ideologies are very important to many fields of study, some examples are anthropology, sociology, and linguistics. Language ideology has become a very good way for us to understand how human groups are organized, despite differences in beliefs and ways of life. For example, many different languages are spoken within one society, proving that the theory of linguistics regarding human societies as monolingual would be a very limited help. Instead of using language ideology we see speakers of different languages or dialects may possibly share certain beliefs or practice, or even a conflict involving a language. An ethnographic example of this is the language of African Americans. After studying the language ideology research revealed the perhaps the key element of their language is the importance of indirectness. The reason that indirectness was vital for the African Americans was because they were living under the conditions of slavery and legal segregation for a majority of America's history. Living under the conditions of this extreme inequality, African Americans had to follow a set of unwritten political rules, telling them how they were supposed to communicate with whites. For example only speaking when you are given permission to speak, or without contradicting or arguing over what whites said to them. By having to follow these rules it publicly confirmed the status of African Americans in the racial hierarchy. African Americans spoke differently to each other, and when not in the presence of whites than they did while they were in the presence of whites. This is showing how they change their language based on the audience around them, they are monitoring their speech to make it appropriate to whoever they are talking to.“The most highly valued instances of this counter-language were ambiguous speech performances that were usually puzzling or unintelligible to outsiders but easily understood by the African Americans who were present”. There are two theories behind the idea of Black English Vernacular and where it originated. The first is the Dialectologist viewpoint which states that Black English can trace its roots back to varieties spoken in the British Isles. The second is the Creolist viewpoint which says that the BEV dialect started as a pidgin language on the slave plantations in the southern United States and evolved into a creole as the next generation of children grew up in the U.S. There are distinct characteristics of BEV that are noticed through the study of speech in the black community. There are five noticeable differences in the BEV dialect Monophthongization, Word-final consonant cluster reduction, Absence of 3rd person singular, Multiple Negation, and the Habitual “be”. Area where Black English Vernacular began in the United States. 1. Monophthongization: This is where words such as “pay” and “pen” become "pei" and “pin”. This is a linguistic switch from a diphthong vowel sound to a monophthong "pure" vowel sound. 2. Word-Final Consonant Cluster Reduction: In this feature, the final consonant in a cluster of consonants is dropped. In words such as “cold cuts” and “best kind” are transformed into “col cuts” and “bes kind”. 3. An absence of 3rd Person Singular: Speakers of BEV tend to drop the “-s” off of third person words such as needs or wants. An example sentence of this would be “He need to get a book from the shelf”. 4. Multiple Negation: This characteristic is the most noticeable and is the insertion of two negative words within one sentence. “I didn’t have no lunch” is an example of double negations and “He don't never have no lunch” is an example of triple negation. "A traditional prescriptive 'rule' in general American English states that 'double' negatives are not grammatical because they make a positive. The formula multiplying two negatives yields a positive does not work for AAE." 5. The Habitual “be”: This is a replacement usually of the word “is”. In Standard English, an example could be “The coffee is always cold” but in BEV it might look like “The coffee always be cold.” It is a simple switch that occurs in the speech of BEV speakers. Historical Linguistics is the history, interrelations, and evolution of language. As Contemporary Linguistics says1, Historical linguistics studies the nature and causes of language change. The causes of language change find their foundation in the physiological and cognitive makeup of human beings. Sound changes usually involve articulatory simplification as in the case of the most common type, assimilation . 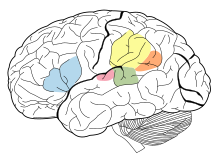 Analogy and reanalysis are particularly important factors in morphological change. Language contact resulting in borrowing is another important source of language change. All parts of the grammar, from Phonology to semantics, are subject to change over time. Any slight change over time in either sound or form will spread word by word by means of lexical diffusion . Sociological factors are used to determine if the majority of a linguistics community adopts the language change. Using sets of cognates, comparative reconstruction lets us reconstruct the properties of the parent or proto-language on the basis of systematic phonetic correspondences. Semantics is the study of the meaning of linguistics expressions such as morphemes, words, phrases, clauses, and sentences. Often semantics is more narrowly defined as the meaning of expressions divorced from the context in which these utterances are produced, and from various characteristics of the sender or receiver of the message. The study of meaning derived from context and features of the communicators is called pragmatics. Pragmatics is the study of the effect of context on meaning. It is about the practical use of language. It includes the study of how people use language to establish their identities through cultural meaning, to express their emotions through effective meaning, to perform speech acts with performative sentences, and to carry on conversations with others. Ethnopragmatics is a different way of studying a language that focuses on the effect of one's cultural context and history to the meaning of words and language used. Symbolism is the occurrence of something that stands for or means something else. Symbols are devised to help remind people of their significant insights and their connections. They can signal the company and importance of given domains of experiences. There are two types of symbols: summarizing symbols and elaborating symbols. A summarizing symbol represents a semantic domain in its entirety and encourages us to consider the elements within those semantic domains. The American flag, for example, stands for a number of things including in U.S. culture including patriotism, democracy, hard work, free enterprise, progress, national security, apple pie, motherhood, and strength. An elaborating symbol is a way of working out complex undifferentiated ideas and feelings so that they make sense to the individual, they sort out experience and categorize the world. In her book Ritual: Perspectives and Dimensions, Catherine Bell uses the example of a miniature garden representing how individuals can participate in the “totalization” of the cosmic order. According to Bell, “the miniature garden does not have pronounced communal dimension, even though it is a common public sight. It is not there to rally any group ethos. It is simply a highly aesthetic expression of the way in which the intimate and personal are linked to the cosmic and impersonal. Metaphors can be easily linked with symbolism. They are mainly known as attempts to answer the following question: What must the world be like for my experiences to be what they are? There are four types of metaphors: •	Key metaphors are metaphors that serve as a foundation of a worldview. In searching for key metaphors one looks at areas of everyday experience that are most associated with order, regularity, and predictability. •	Societal metaphors are worldview metaphors whose model for the world is the social order. A lot of the time human social relations provide great order, regularity, and predictability. Where this is true, the model for the world is the social order; or, put another way the universe and one's own society are understood to operate according to the same principles; a sense of order. •	Organic metaphors are worldview metaphors that apply the image of the body to social structures and institutions. Organic metaphors are based on an understanding of living organisms. A number of nineteenth-century theorists of linguistic or cultural evolution used organic metaphors to analyze the life histories of languages or civilizations in terms of birth, youth, maturity, reproduction, old age, and death. •	Technological metaphors are worldview metaphors that employ objects made by human beings as metaphorical predicates. This uses machines made by human beings as metaphorical predicates. Due to comparative research, it has been suggested that there are three important images of order and stability that have regularly provided key metaphors for worldviews. Societal and Organic metaphors are two of the three. The last is known as functionalism. This is a social scientific perspective in which a society is likened to a living organism in which different systems carry out specialized tasks; functionalists identify social subsystems into which a society can be divided, identify the tasks each is supposed to perform, and describe a healthy society as one in which all the subsystems are functioning harmoniously. Humor is a communicated art shared universally by all of the peoples of the world. It comes in many forms such as a simple pun to a more complicated metaphorical satire, working primarily to invoke laughter and amusement from a single conversation to a bigger audience. Humor, though universal, can be restrained by knowledge of a culture, as situational humor needs a reference in the cultural framework of a society to illicit the desired response. For example, a joke suggesting Hillary Clinton practices witchcraft would make little sense to cultures outside of the United States because other cultures would not understand this reference. This is an example of cultural relativism (the principle of regarding the beliefs, values, and practices of a culture from the viewpoint of that culture itself.). Likewise, certain humorous situations such as a man trying to jump over a stream, but falling in it instead, can be understood by a wider range of people as there is little specific cultural meaning attached to that specific situation. Humor has a tendency to change between audiences, as just as a cultural reference to an outsider would not be understood, humor between different demographics in a culture must be adjusted to allow correct interpretation of that audience. For example, teenagers often shift their humor when in the presence of parents. Adults also change or censor their humor when in the company of young children. Humor also serves several other auxiliary purposes, such as social and political commentaries meant to use humor as a vehicle to promote an agenda. Posture: the position in which someone holds their body when standing or sitting. It is also meant to show a way of dealing with or considering something. Such behavior can be intended to impress or mislead another individual in a particular attitude or mood. Humor: a communicated art shared universally by all of the peoples of the world. It comes in many forms such as a simple pun to a more complicated metaphorical satire, working primarily to invoke laughter and amusement from a single conversation to a bigger audience. Kinesics: the study of the way body movements and or gestures serve as a means of nonverbal communication, focused primarily on how different cultures have different kinesics and or nonverbal queues. Nonverbal Communication: The use of body language, eye contact, gestures, facial expressions, posture, or symbolic clothing in order to communicate with another. Linguistic Relativity: how variety in language structure affect people’s thoughts and actions. Emoticons: symbolic images used to convey emotions and/or context through digital visual communication such as text messaging, online instant messaging, and email. These are made of symbols that can be created on a standard computer keyboard, which are arranged in the form of human facial expressions, hand gestures, and actions. Not to be confused with emojis, which are pictographs that serve the same purpose as emoticons. Chronemics: A field of study examining the utilization of time in non verbal communication. ↑ Howlader, Md. Shafiul Azam; Hossain, Gahangir. "Investigating Morphological Analysis of Bangla Words Using Recursive Allomorph Method." 6 sections. 6 March 2009 . ↑ Bonvillain, Nancy, Anne Curzan, and Michael Adams. Sociolinguistics: A Custom Edition for Western Washington University. 1st Ed. New York, N.Y.: Pearson Custom Publishing, 2008. ↑ Louisiana Creole Heritage Center. "CREOLE DEFINITION". http://www.nsula.edu/creole/definition.asp. 2009. ↑ Shultz, Emily A. Cultural anthropology. 7th ed. New York: Oxford University Press, 2009. ^ Rowe, Bruce M., and Diane P. Levine. A Concise Introduction to Linguistics. 2nd ed. Los Angeles: Nancy Roberts, 2006. ^ British Sign Language. 19 Dec. 2000. 5 Mar. 2009 <http://www.deafsign.com/ds/index.cfm?scn=article&articleID=48>. ^ "Phoneme." The American Heritage® Dictionary of the English Language, Fourth Edition. Houghton Mifflin Company, 2004. 06 Mar. 2009. <Dictionary.com http://dictionary.reference.com/browse/phoneme>. ^ Rowe, Bruce M., and Diane P. Levine. A Concise Introduction to Linguistics. Boston: Allyn & Bacon, 209.